How Far is Boopathy Homes Relax City? Boopathy Relax City is a popular residential development that is located on Old Madras Road, Bangalore. This project offers plots with modern amenities for the comfort of residents. It is close to bus stop and many educational institutions. Boopathy Homes India Private Limited, is a well known company in Bangalore established over 26 years ago, They have completed more than 25 projects and have more than 2500 satisfied clients all over the world. Their layout are well planned and are in prime localities near the I.T hub in Bangalore. Hospitals, Schools and Colleges as well as transport facilities within easy access from layouts. 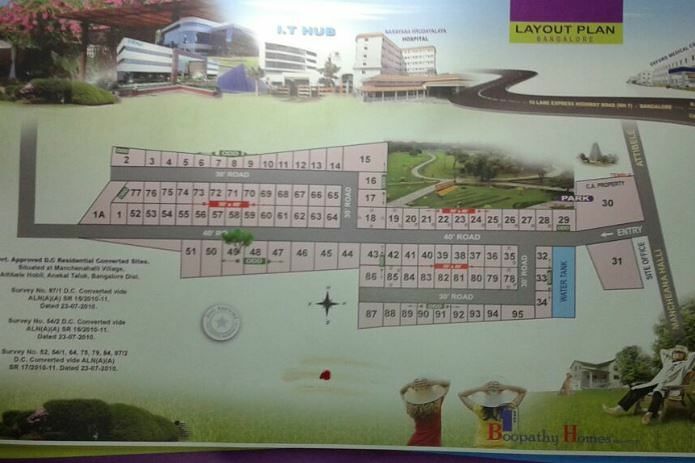 Presently sites are available in the following layouts, which are approved by the concerned authorities. Our mission is to achieve and sustain growth by delivering projects, products and services of consistent quality through efficient and effective operations within the agreed time. We take our responsibility as a leader in our field seriously, that is why we not only do not follow but set standards. We take the following steps as responsible leaders. As a company, it is well equipped to serve the needs of its worldwide clientele due to its understanding of the requirements of each individual client. Today, this expertise gained from years of working makes projects of K. Boopathy (Boopathy Homes) most sought after.